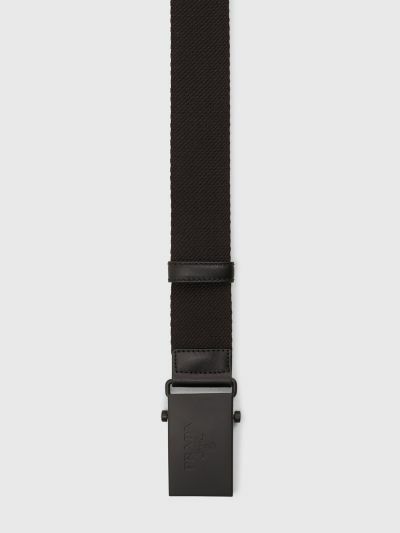 Belt from Prada made in Italy of woven textile and leather details. 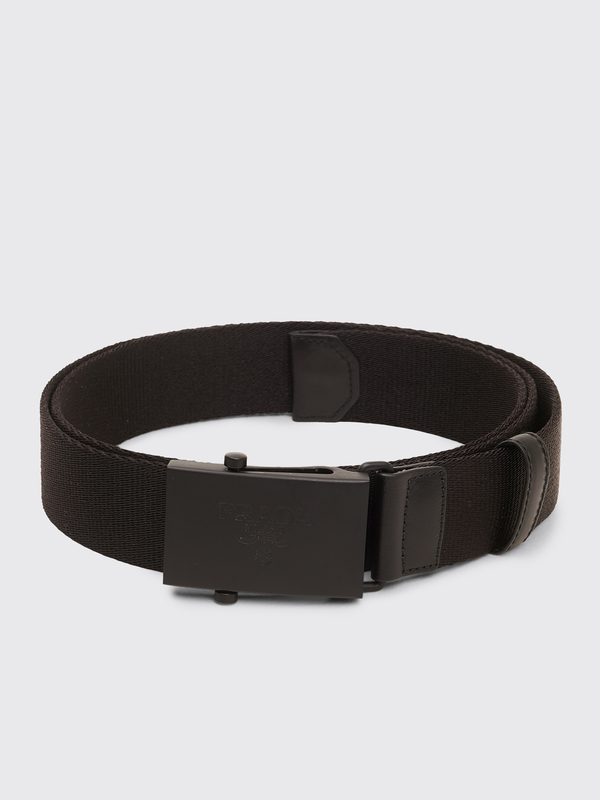 Metal buckle closure with tonal logo. Black belt. Made in Italy from nylon, leather and metal hardware. 95 cm equals 38 inches and measures 3,5 x 115 centimeters in size 95 cm.